This magnificent carving is almost life size and has been carved into the sloping rock using a ‘pecking’ technique. Sadly, the horse is partly worn away, but the head and neck can still be seen. Experts from Liverpool museum have suggested that the circular carved device in the horse’s neck may be a symbol depicting the sun; this combined with the possible orientation onto equinoctial sunrise may suggest that the horse embodies some solar significance. Greek, Roman and Hindu mythology all consider horses important in the rising of the sun, indicating that seven horses are needed to pull the sun or the sun chariot into the sky. Norse mythology indicates that only two horses are required, Arrakur (Early Waker) and Alsvin (or Allsvin, Rapid Goer or All Swift). The sun is pulled behind the chariot of Sunna (the Sun Goddess). See focus point 13 for more information on Sunna, Daeg (Sunna’s herald) and his horse Skinfaxi. Unfortunately, without further exploration it is difficult to age correctly and without an age we can only guess at its potential. Experts are in the process of researching this unusual carving, with a view to protecting and recording it. With thanks to Nigel Rose for his invaluable research and suggestions. My Husband has just got back from a walk on Bidston hill and he has seen a carving of what appears to be 2 Wolves running past each other, we have never seen this carving before. Does anyone know anything about it ? 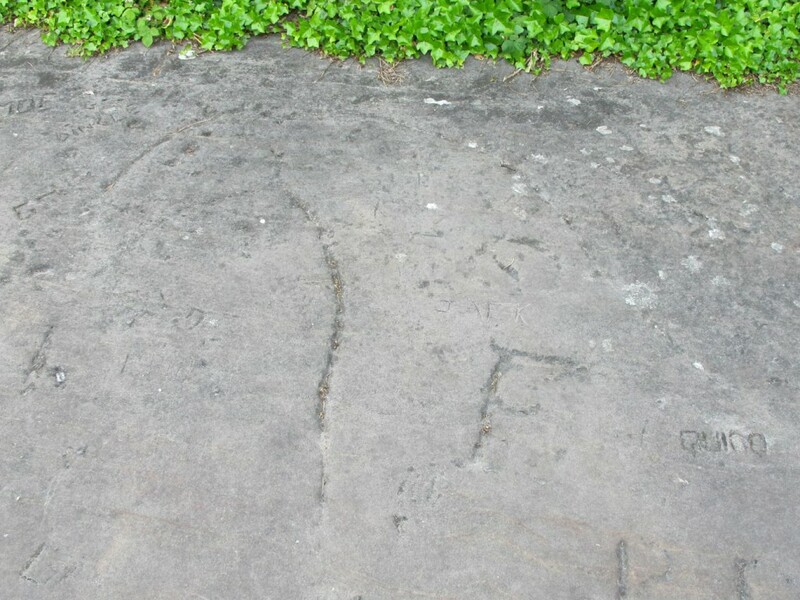 The carvings to which you refer are known as the Mummers’ Carvings, focus point 14 on the Heritage Trail.